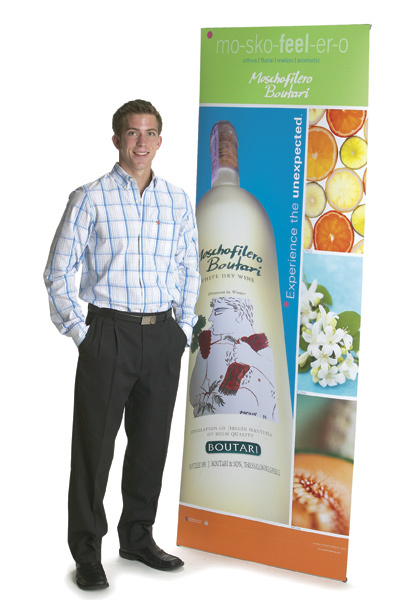 This single-sided, non-retractable banner stand gets great mileage in a POP or retail scenario. 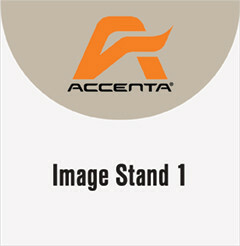 No visible hardware from the front of the graphic. Cast aluminum, sleek fish-shaped base. Lacquer finish makes it durable. Protective cylinder in the optional travel bag keeps your graphic panel clean and safe. Put two or more together for a high-impact presentation. Use it once or use it for a long time.